Five tips for leaders on remaining calm. 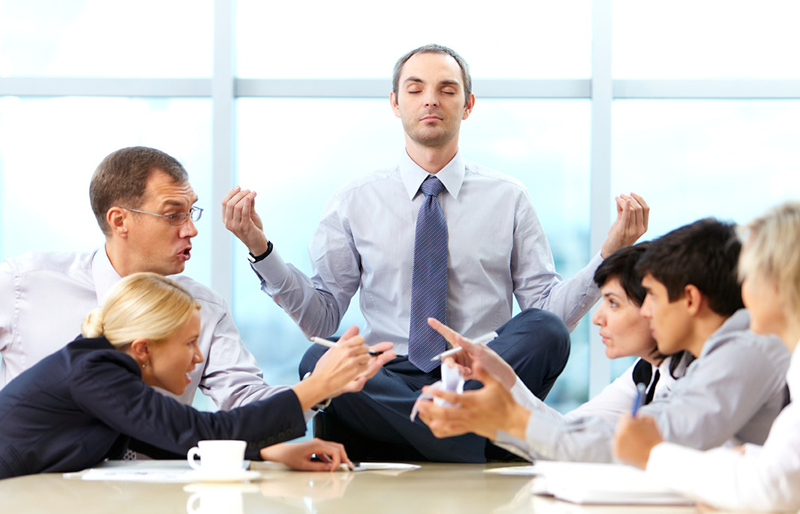 One of the greatest attributes a leader can demonstrate today, is the ability to remain calm. In every situation. At all times. This doesn’t mean that you should not be passionate or vocal. It is about setting the standard for the behaviour you want to see in your team. The shadow cast by a leader who is self-doubting, anxious, stressed, or unpredictable, is long. It can have a ‘splatter’ effect as team members, peers, and partners feel the impact, absorb it, magnify it, and pass it on. To be calm on the outside, when on the inside you may feel like you are caught in the spin cycle of a washing machine, is easier said than done. It is possible though, and here are some tips that I have found to be really helpful. Warning: This is not rocket science. 1. The reset. This is a great thing to do every day, but particularly when times are more uncertain. Every morning, before you start your day, find your focus, and reset. For some this might be exercise, others find meditation or reading helpful. It might only be for five or ten minutes but find what works for you and practice it. 2. Breathe. Slowly and deeply. You could of course use a breathing app, of which there are many. Alternatively, you could take a more radical approach, and just breathe. All by yourself. Just make it more deliberate. This is particularly useful when you have received information that is distracting, or unexpected. 3. Smile. Genuinely smile as you enter a conversation or a room. No matter how you are really feeling. Others will look to you as a barometer to assess how things are going. It doesn’t matter what you say. We all know, and it is well researched, that your body language, facial expression, and tone, will override anything that you say. It is also well researched that smiling is not appropriate for every situation, so find the expression that is most appropriate for the occasion! 4. Be present in every conversation that you are in. As if it were the most important conversation that you will be in all day. If you are interrupted, or you are time pressed, be gracious in moving on. 5. Communicate openly. Where there is uncertainty, tell your team honestly what you are able to tell them at any given time. Resist the urge to indulge in speculation or gossip, because if you do, your behaviour will be seen as acceptable and it will be mirrored. This is a killer for company culture. In life, there are few things over which you have total control. Your behaviour, and in particular, your behaviour as a leader, is one that you can control. 100% of the time. I have spent nearly all of my career managing and leading people. I have a candid and open style and coach my teams relentlessly. I love seeing people begin to fulfil their potential and firmly believe that sometimes just the smalllest changes can make the biggest differences to individuals and teams.